Most dairy free ice cream I’ve found uses canned coconut milk. That’s a big problem for me. With my nickel allergy, canned foods are a no-no in my diet. Add to that no dairy, eggs, or beef for SG, and well, I’ve never attempted homemade ice cream, fudgesicles or anything with canned coconut milk. So, I usually skip over dairy free recipes using canned coconut milk… and then I found SO Delicious Culinary Coconut Milk in a BOX! Okay- can you tell I’m excited? And doesn’t this look divine? Doesn’t this seem like a good recipe to share in the summer? 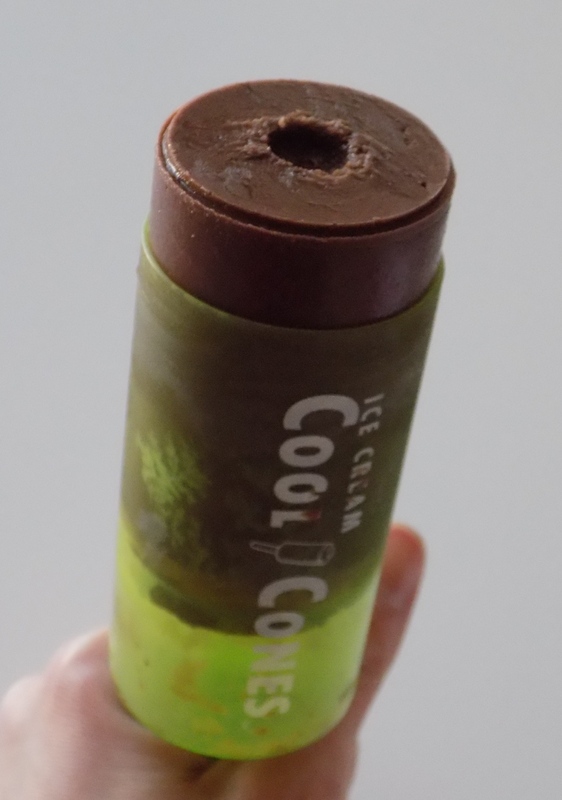 Here’s how I made dairy free fudgesicles/chocolate push up pops. You can call them either. Since I used push up pop molds, I’m going with the push up pops name. Put all ingredients in a blender. Blend until well mixed. Taste. If not sweet enough, add more honey. The original recipe uses 2 tablespoons of honey. I started with that and ended up adding LOTS more honey. I *think* I used at least 4 tablespoons of honey, if not more. The original recipe also suggests using maple syrup or honey. I think next time I’ll try the maple, just for fun. This recipe yielded 4 push up pops plus a little extra that ended up in my other not so reliable popsicle molds. Delicious Homemade Fudgesicle. Definitely use a bib with this for little ones! The coconut milk box costs me $2.39. The rest I don’t really factor in because I always keep them in my pantry. $2.39 for 5 homemade popsicles is a lot cheaper than the “safe” store bought counterparts! That’s 48 cents per push up pop! Y’all know our food allergy brands are expensive enough- so it’s nice when I can save some money. And isn’t homemade always better? I hope y’all enjoy these as much as SG did! I only licked the spoon because I didn’t want to take away from her treats. 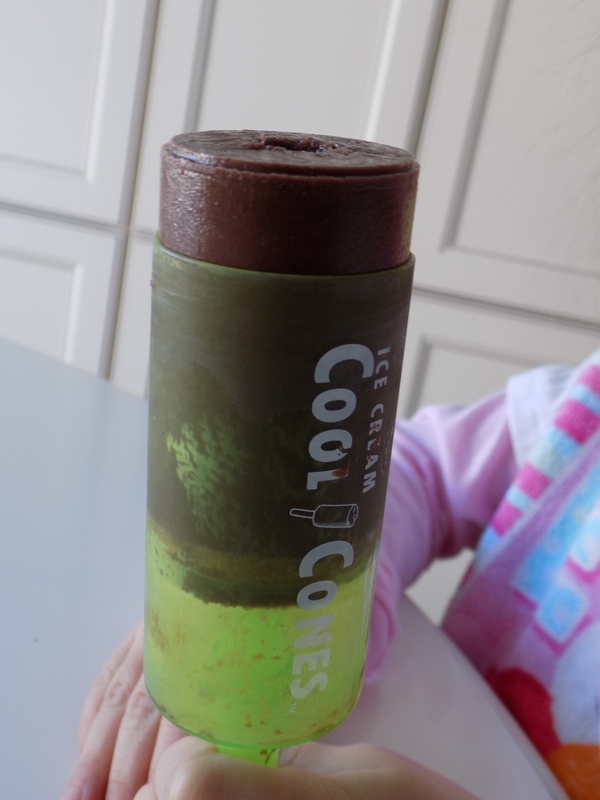 I think it’s time to buy more push up pop molds and make a big ole batch of these babies! can’t stop thinking about these little gems! I am going online to order up those pushpops right now. They look so good. I thought I was just overly hungry when I checked these out, but no…I really need to make them…soon. I hope you enjoy these chocolate push up pops. My child devours them! These push up molds are great for any kind of frozen treat- even soy yogurt mixed with orange juice. I’m sure you’ll find lots of uses for the molds.